The Kottayam couple found out that Agnus had the rare blood group only when she was admitted for delivery. When Agnus Lourd Mary approached a private hospital at Kattappana in Idukki last week for her delivery, doctors made a puzzling discovery during her check-up – Agnus’ blood group did not match anything existing. They referred Agnus and her husband Shijo Thomas to the Kottayam Medical College and Caritas Hospital. The family then admitted Agnus to Caritas Hospital, where doctors realised that Agnus had the rarest of rare Bombay Blood group (hh blood). As the delivery was a C-section, she needed blood for the surgery. 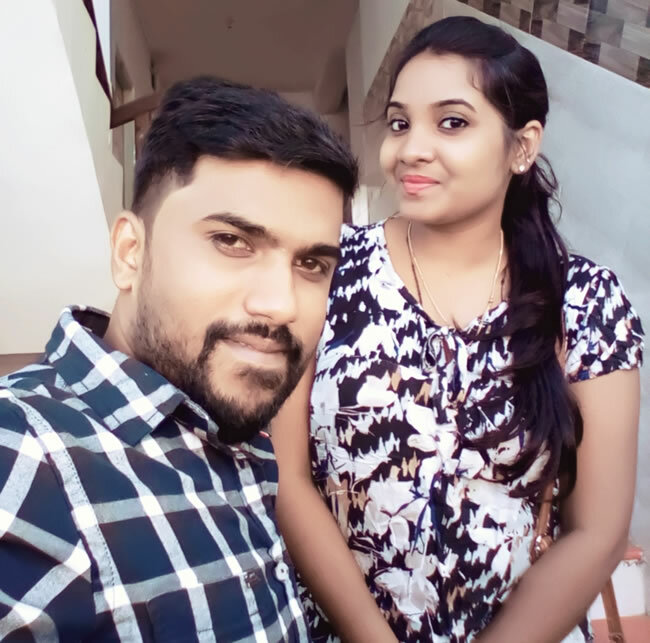 The hospital, which maintains a registry, and Blood Donors Kerala (BDK), a non-profit organisation, managed to get two donors for the couple from Malappuram and Idukki. The surgery went off smoothly and Agnus delivered a baby boy. “Agnus was admitted to the hospital on Thursday and as part of the check-up we realised that her blood group was the rarest of the rare Bombay blood group,” Dr Reji, gynaecologist at Caritas Hospital told TNM. “The delivery was a C-section and she needed blood for the surgery. Then we directed the couple to contact BDK, who immediately arranged blood donors for the patient. For the first time in the hospital, we managed a Bombay blood group case,” said Dr Reji. The Bombay blood phenotype was first discovered in Bombay, now Mumbai, by Dr YM Bhende in 1952. “When we speak of blood donation, people can donate either whole blood or components. Components include plasma, platelets, or red blood cells. A person who has Bombay blood group type can donate to and receive red blood cells from only another individual who is identified to have Bombay blood group as well. However, when speaking of plasma and platelets, they can receive the same from someone with ABO blood group,” explains Dr Krishnamurthy, Head of Transfusion Medicine at Sri Ramachandra Hospital in Chennai. Dr Mohandas added that only 180 people with the Bombay blood group have been registered in the country and that awareness about the group is very less. “An NGO called Sankalp Foundation has a data bank, it’s an all India foundation that arranges Bombay blood for patients throughout the country. This blood group is somewhat more prevalent in Maharashtra and Karnataka,” he said. BDK provides any blood group to the needy free of cost and has saved hundreds of lives. “We have about 40 Bombay blood group holders from across the country in our list. Last week BDK members Subrahmanyan and Muhammed Sherif donated Bombay group blood to a seven-year-old boy at Chennai’s Malar Hospital and saved the life of the child,” said Sameer Peringadi, vice president, BDK, Kannur district. “Trivandrum native and KSRTC driver Vinod Bhasker formed the BDK organisation and now we have members all over India and in the Gulf countries. Shijo and Agnus have also declared their willingness to join BDK,” Sameer said. “It is the first experience of my career in this hospital to treat a patient with the rarest of rare blood groups. Most of them realise that this is their blood group only during emergency check-up,” said Dr Reji.